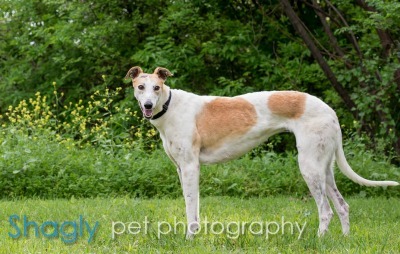 Sierra is a 3½-year-old white and red female greyhound found as a stray in Alvaredo. She was spotted when Bentley was picked up about three weeks ago, but could not be caught at that time. According to her tattoos, Sierra was born in September 2011, but her identity will have to be a mystery as her left ear is double tattooed. 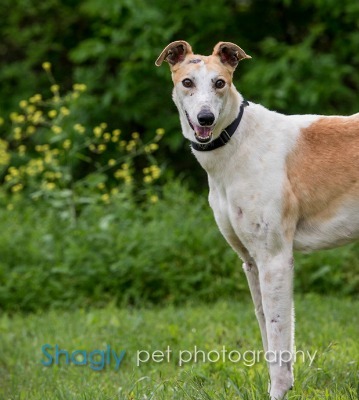 Sierra passed a cat test and is living in a home with a cat and small dog.